Danny and his son, a GA Tech grad, own a ’56 coupe they are making into a show car. drove it to San Marcos where they won a 1st in Touring! And, we can't forget our NEW Supporters! David McClure - Nicholson, GA (?) I think he’s looking for a ’57 or ’58. Mac Wright owns a PINK ’66 DeVille convertible. 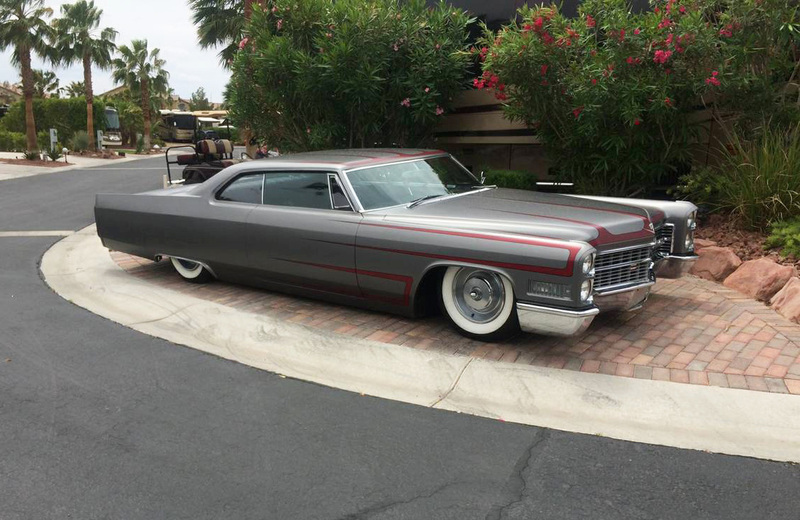 Roddy Pierce - he's selling bumpers for a ’67-‘68 Cadillac ($300). Check 'em out! 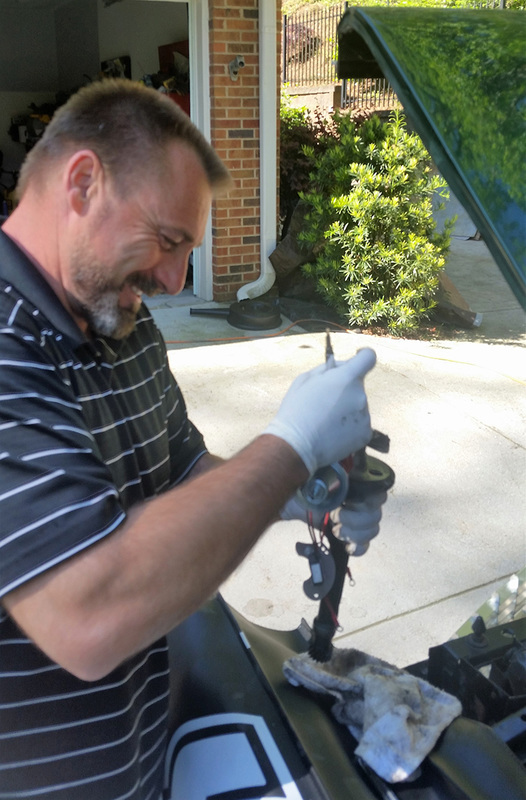 Eric Varah smiles at a distributor while working on Doug Bailey's car a few months ago. A warm PSCLC welcome to Eric Varah and his new '66 Cadillac coupe custom! 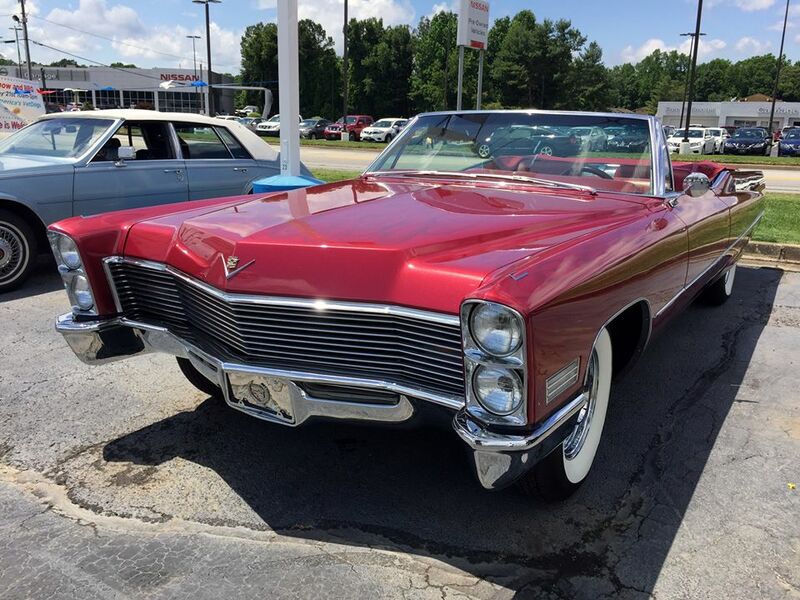 Welcome New Members to the Peach State Cadillac & LaSalle Club! 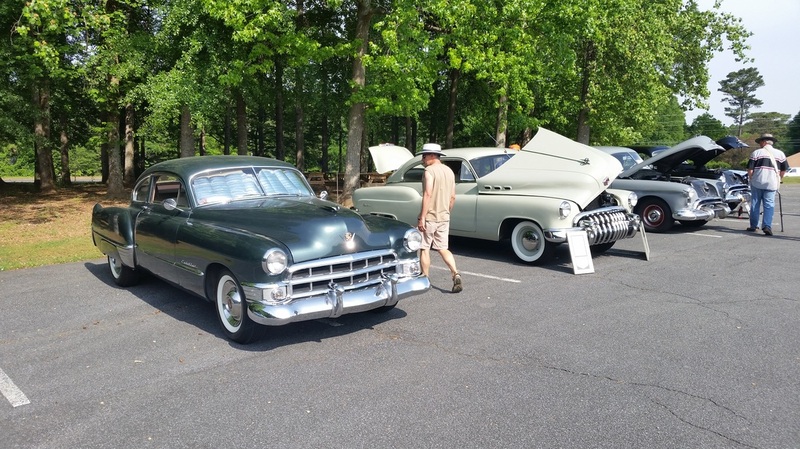 Welcome to our new members: Bill and Laura Torella - their 1950 Oldsmobile is 2nd from left. Cindy and Mike Coggins joined PSCLC during the 2016 BOPC Show on April 30th. 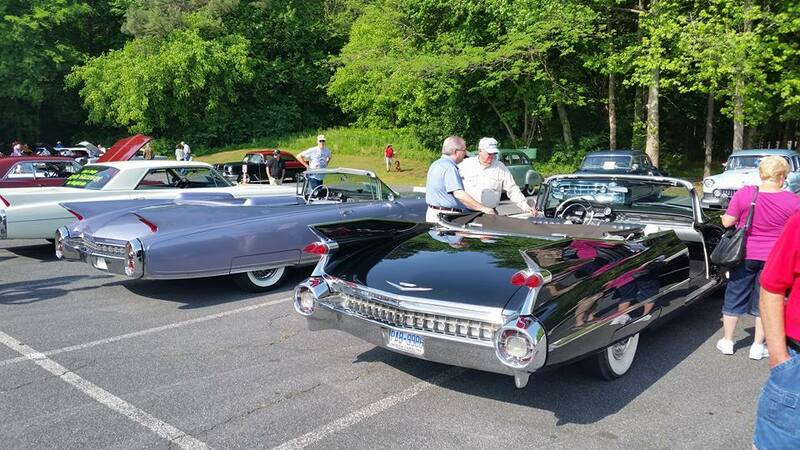 We realize you have other Cadillacs in your collection out in Woodstock, but we sure did appreciate your bringing that black beauty to the show. Looking forward to seeing the 1959 Series 62 convertible soon at another of our events. How about going with us to Huntsville on the Spring Driving Tour?